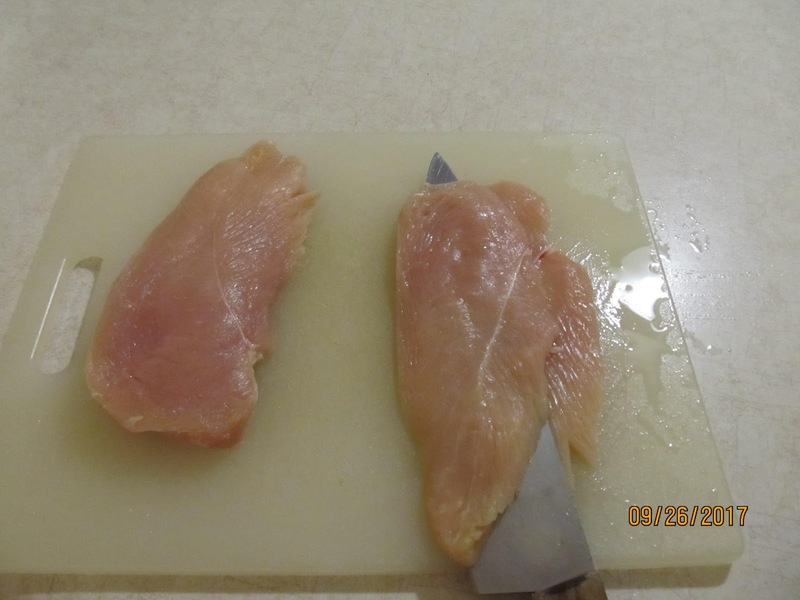 Our chicken came as large breasts and had to slice through it like we show you here. 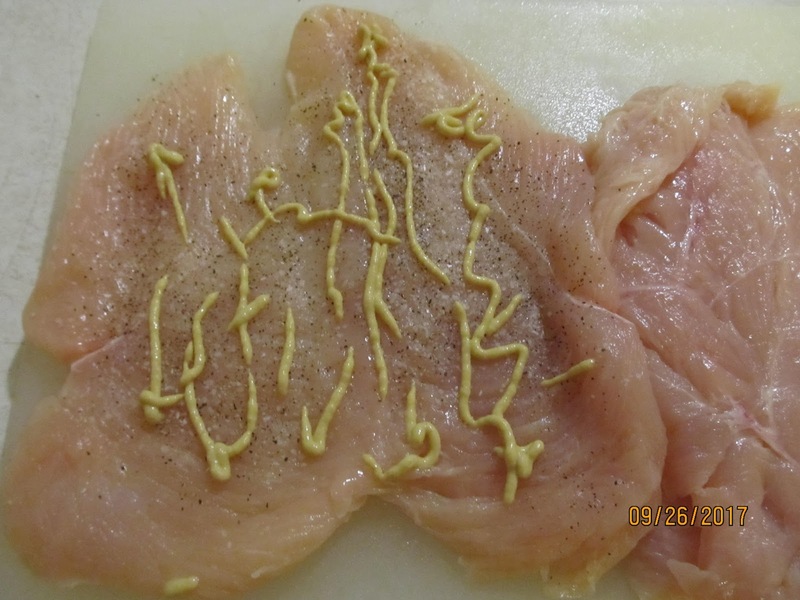 This is another sample of our cut, and you would do this on all four breasts. 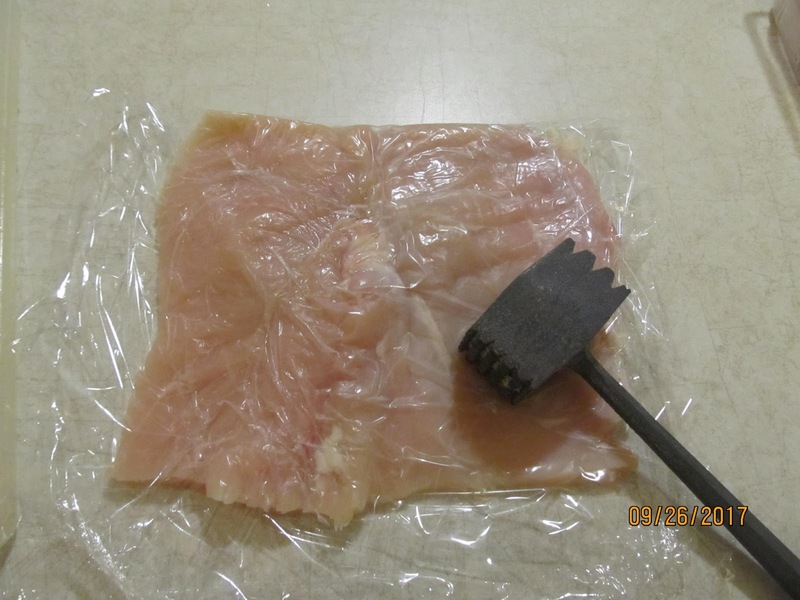 Then take a Meat tenderizer and gently pound to tenderize the chicken. Once the chicken is flat and workable, Add the Dijon Mustard. 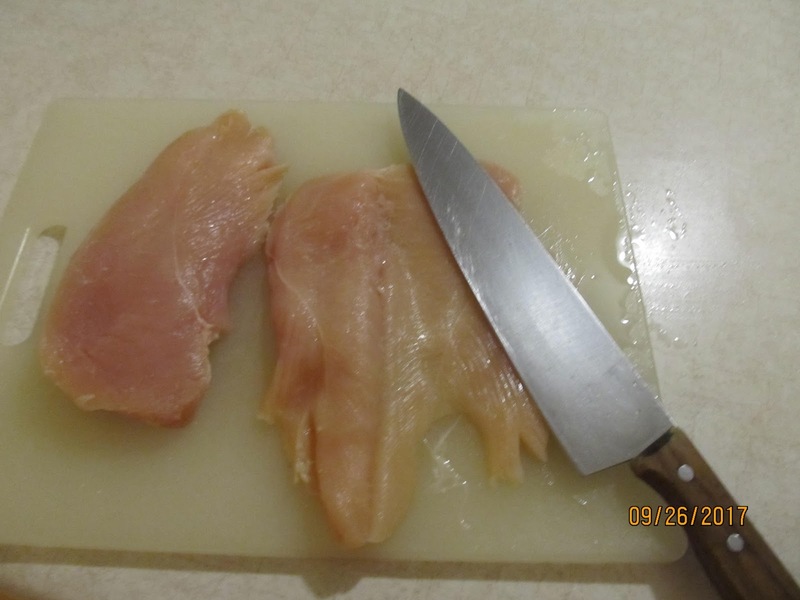 Add 4 slices of thin sliced ham to each chicken breast. 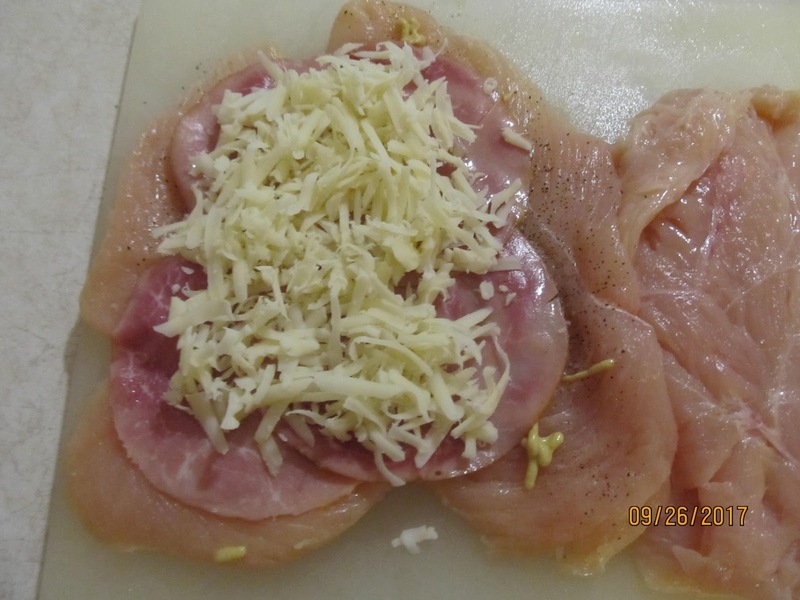 Add 1/2c shredded Swiss cheese and place on top of ham. 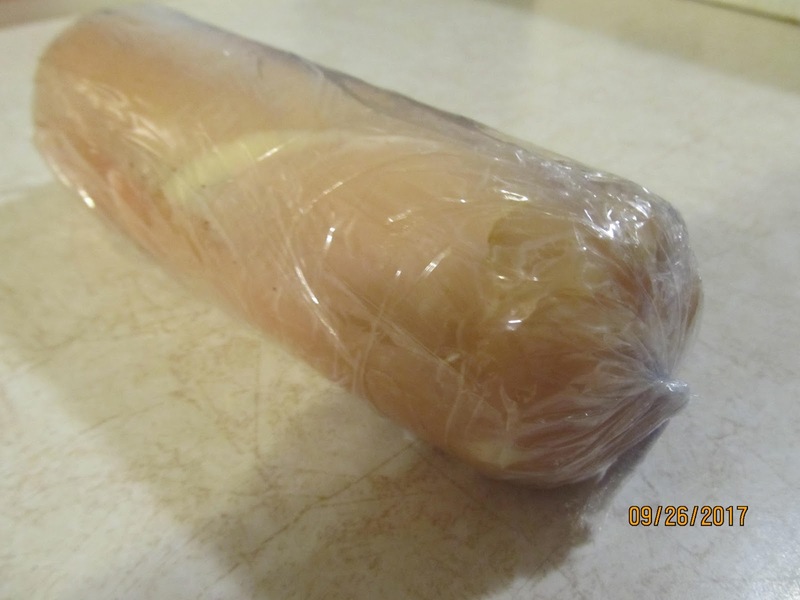 Now take some plastic wrap and roll chicken into a roll. Like the picture below. The picture below,shows how it should look like. 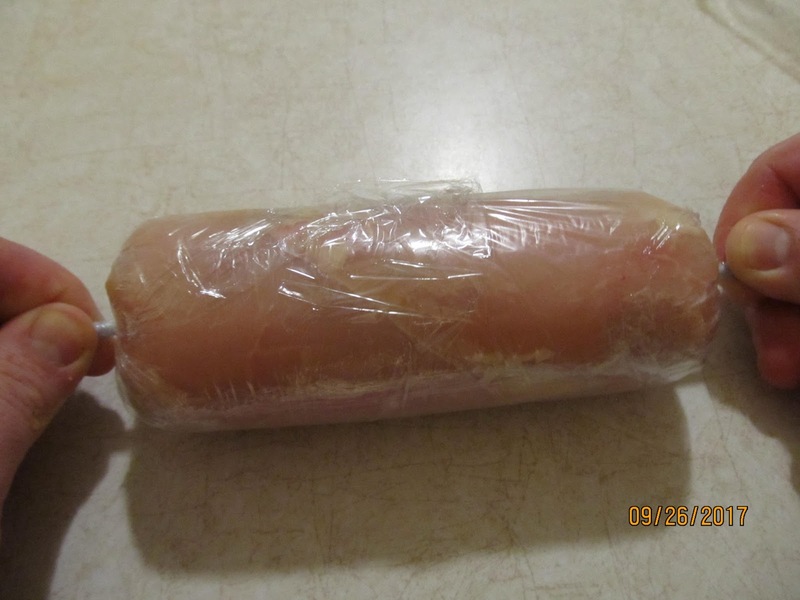 Then you will want to place in the refrigerator for an hour, to set. 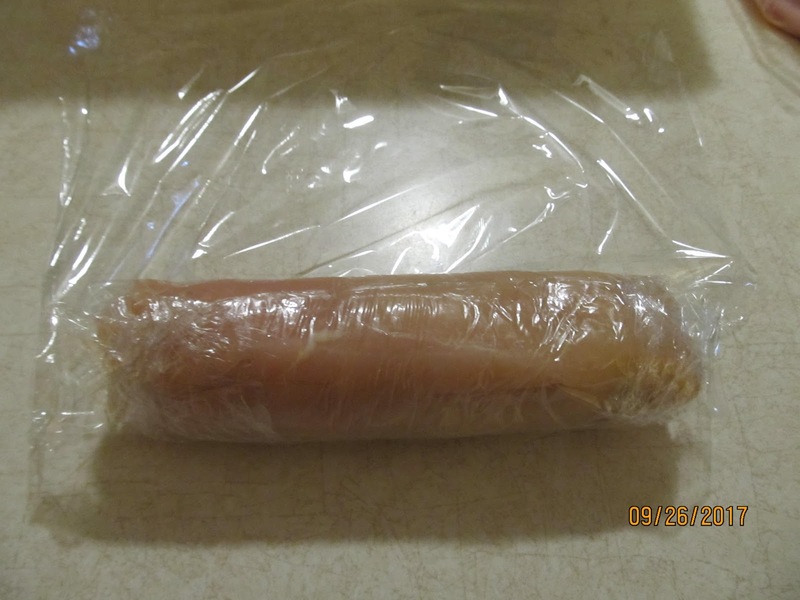 After an hour, preheat oven to 400 degrees and unwrap the chicken, it should still be in roll form. 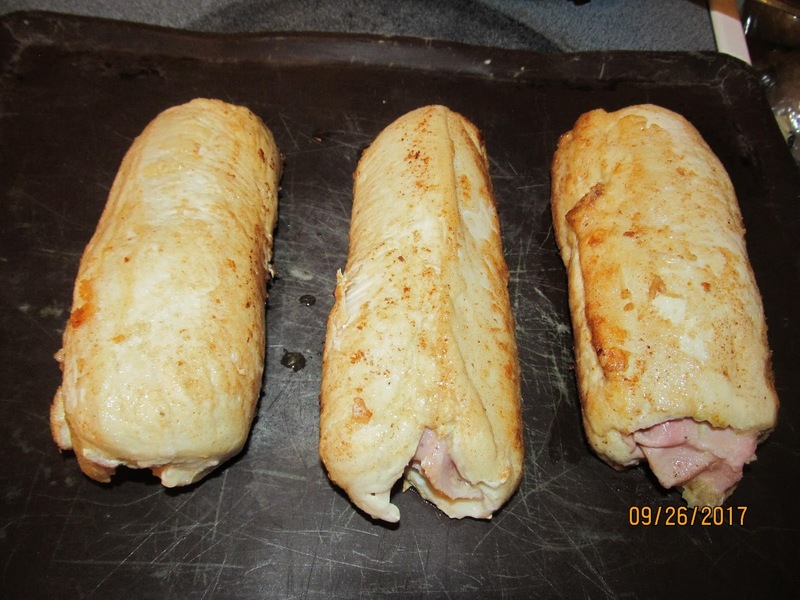 Take a frying pan out and heat a small amount of oil in pan and sear the chicken rolls just to make them turn brown, it only takes a few minutes. Place chicken on cookie sheet and place in oven for 20 minutes. Just to let them cook all the way through. 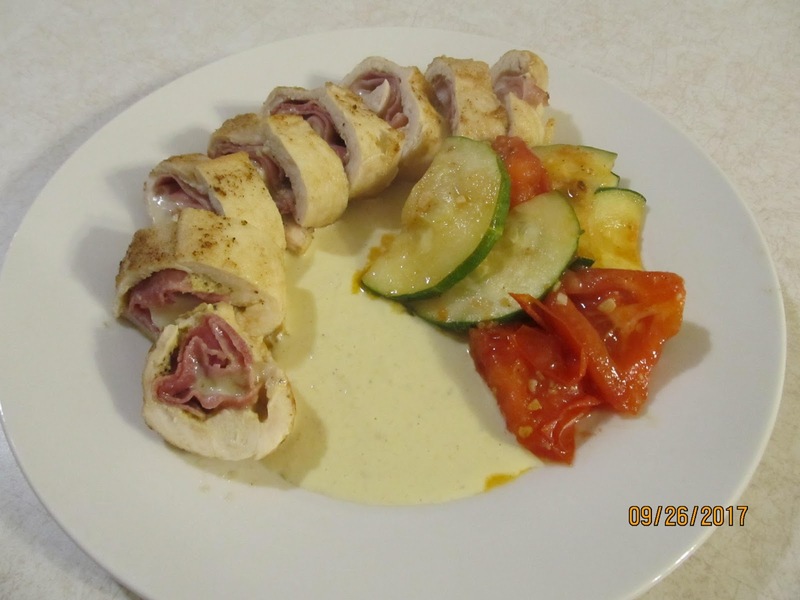 * We also made a mustard sauce to go with it. * Biscuits go well as a side dish also. Love these! Great recipe thanks!